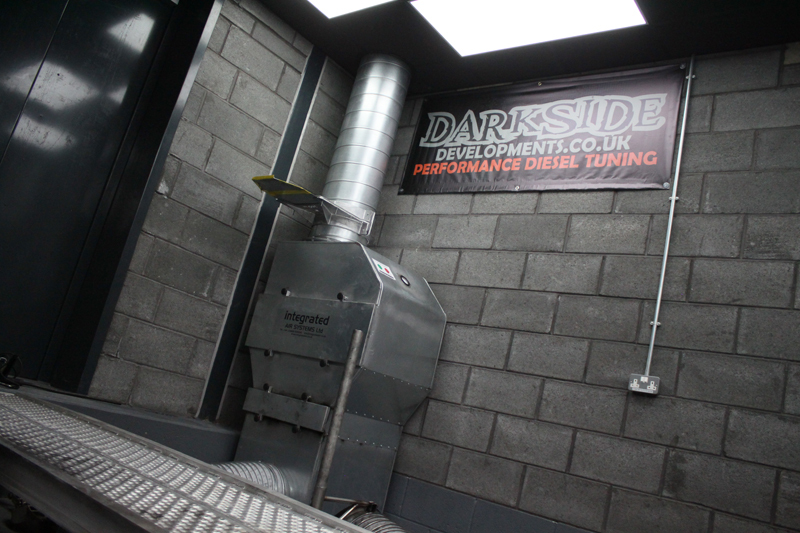 Here at Darkside Developments we have spent many hours meticulously planning to create a Dyno Cell that would meet all of our exacting specifications. 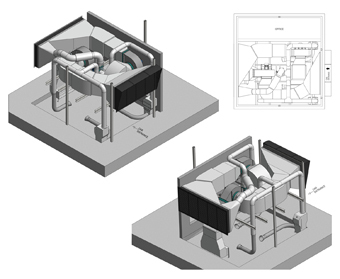 Our new purpose built Dyno Cell is separate to the rest of our main unit allowing us to specify the building construction to maintain low external noise levels. A car at 150mph producing 120db internally will measure 75db directly outside the cell. At our boundary the noise is no greater than surrounding levels, our neighbours don't even know we are testing. 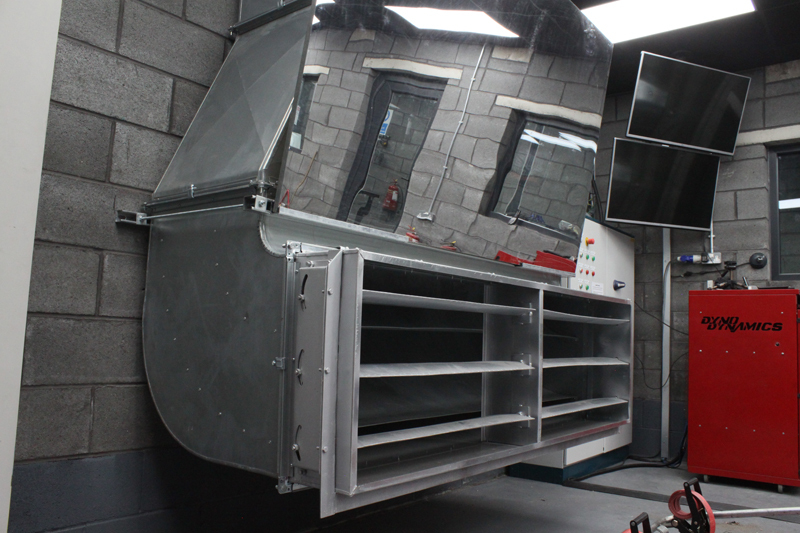 The building itself along with the cooling and extraction equipment inside now allows us to closely replicate real driving conditions inside a soundproof and temperature controlled environment that is comfortable for the operator and everyone close by. 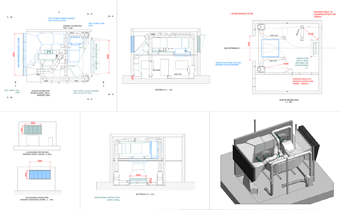 400 air changes per hour which equates to 47200cubic meters/hour or 13.1cubic meters/sec. Additional unfiltered extraction hose for external wastegate etc. We have specified a complex control system that allows the use of a wireless remote to activate and vary the fan speed whist in the vehicle. The control system also maintains a super accurate 2 millibar negative pressure using a pressure differential sensor with PID controller that will ensure perfectly clean air is present in the cell at all times without affecting engine performance or dyno results. 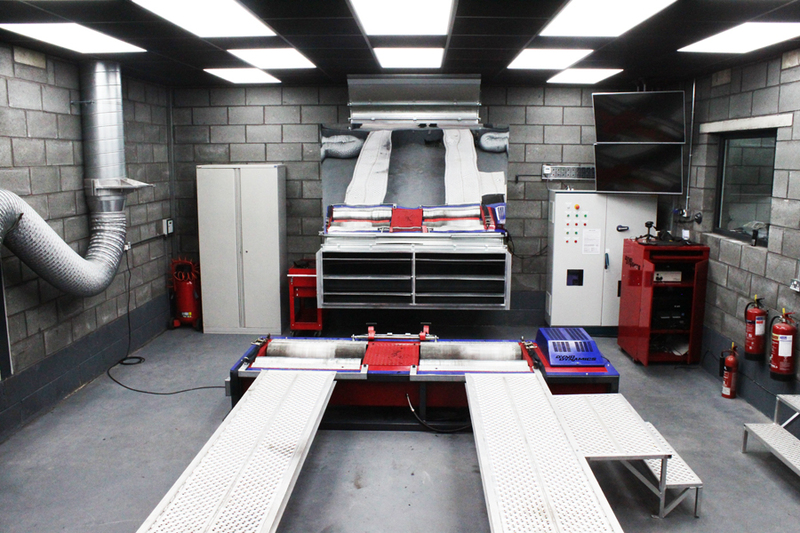 Inside the Dyno Cell we have installed our Dyno Dynamics Two Wheel Drive 450DS Digital chassis dyno. 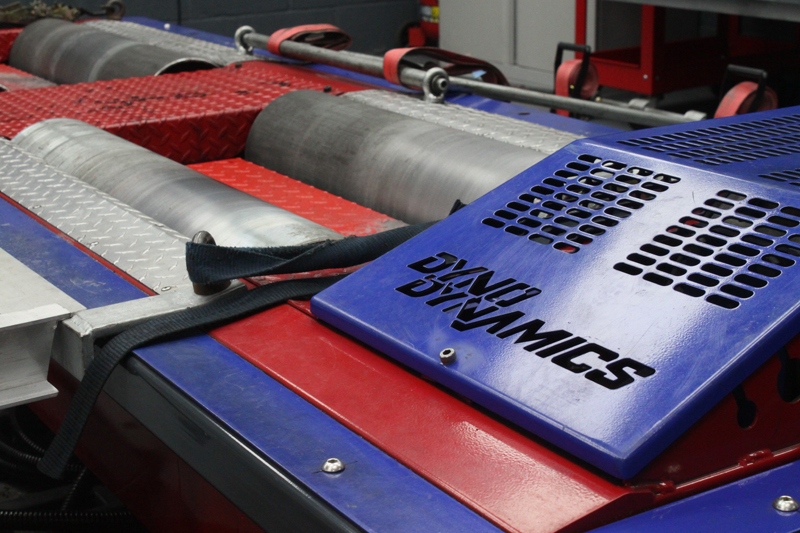 We have specifically chosen the Dyno Dymnamics purely because of its accuracy, reliability and repeatability. 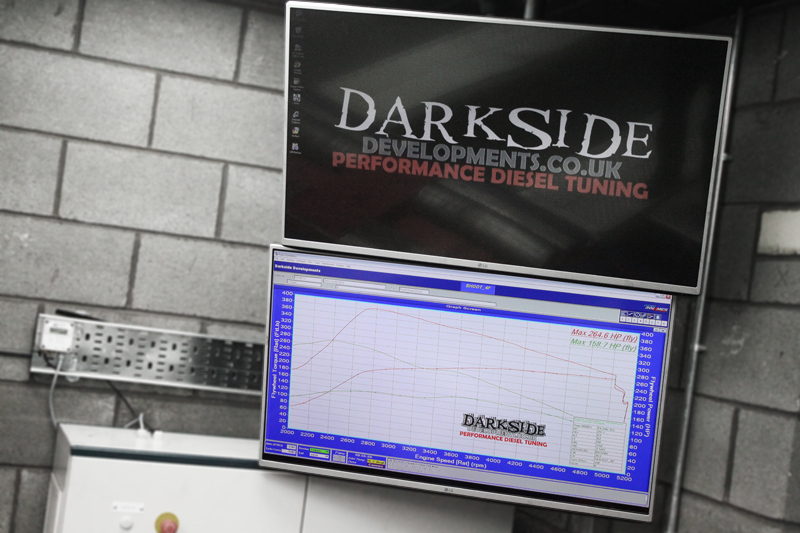 The latest digital control system means that once the car is being run, the operator cannot influence the results of the dyno run. This means our customers can be assured of the integrity of the results we produce. We pride ourselves in saying we won't ever give out inflated figures. 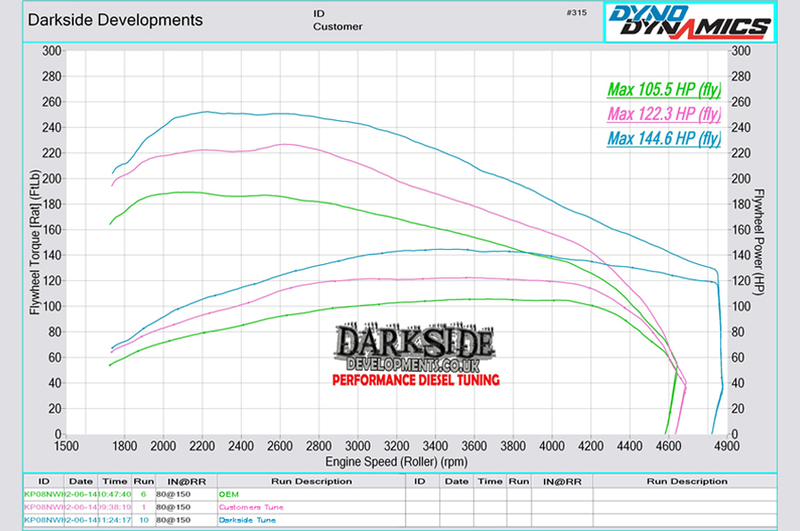 The dyno itself is capable of handling a total of 1200BHP, axle torque up to 3600ft/lb and a Max speed of 155mph. We have built the cell with the intention of upgrading the dyno in the near future to an AWD model with minimal modification to the cell required. 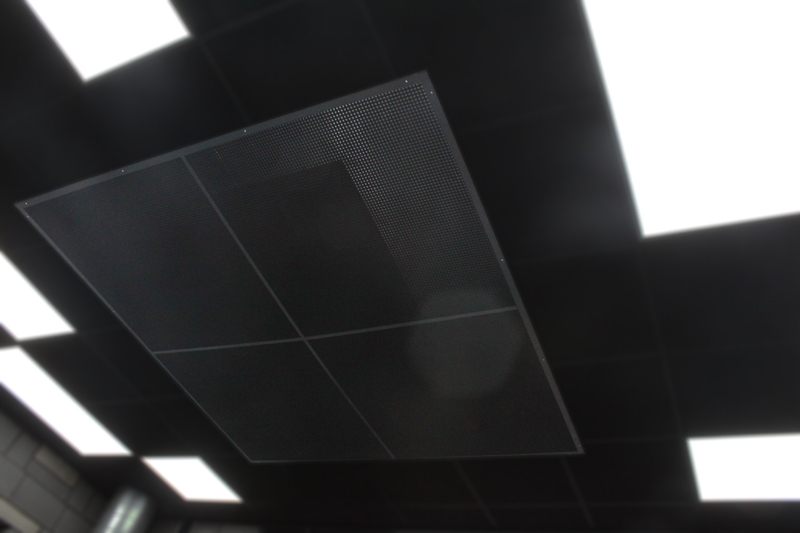 Our custom made entry ramps have been made with modified cars in mind. Built at ground level, all vehicles can easily access our rolling road, even the super low ones! Our cell has a 1080P HD Wide Angle Lens Video Camera with built in microphone. As well as security we can use this to save, upload or play back videos of the cars we run on the dyno at any time. 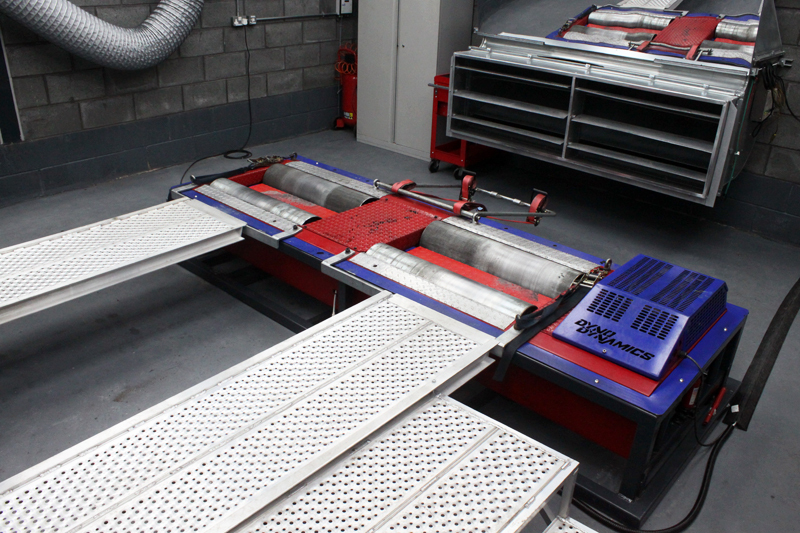 As well as the ground level ramps we have also fabricated a pneumatic lift system that slowly lowers and raises the vehicle between the rollers whist braking the free roller so the entry and exit is as smooth as possible.